With more snow possible Sunday into Monday, the Township is closely monitoring the forecast and will be ready to respond as conditions require. One of the best ways to ensure you receive important information quickly is to sign up to receive CodeRED Emergency Alerts from the Township, Cherry Hill Police and Fire, and the Cherry Hill Office of Emergency Management. This new system allows us to quickly contact subscribers via phone call, text message and e-mail, when emergency situations arise. Visit www.CherryHill-NJ.com/CodeRed for more information, or click here to go directly to our sign-up page. CodeRED is open to both residents and businesses. Code Red is the newest tool to keep you informed; remember, you can also find updated news and information at CherryHill-NJ.com, or by following us on Facebook and Twitter. Stay informed – and stay safe – this winter, and all year long! Cherry Hill now offers paperless billing for all residential and commercial Township sewer bills. Electronic billing makes information easier to access, and reduces costs associated with printing and mailing sewer bills. Homeowners must enroll by March 10 to ensure the change takes effect for 2015 residential sewer bill. Commercial sewer accounts must enroll by April 10. Click here to learn more. Last Friday night, I was proud to be on hand as several local residents were honored for their contributions to our community at the 2015 Camden County Freedom Medal ceremony. The awards recognize Camden County residents who embody the principles and ideals of Dr. Martin Luther King Jr. Four Cherry Hill residents were among the 15 honorees: Eleanor Stofman, president of the Cherry Hill Education Foundation; Dr. Wilhelmina D'Dumo; Sue Levy Polikoff; and Dr. Jamil Mohsin. Please join me in congratulating all of this year's award winners, and in thanking them for all they do to make Cherry Hill a better place to live. Click here for a full list of honorees, and photos of the ceremony. Cherry Hill Township will host its annual rabies vaccine clinic from noon to 2 p.m. Saturday, Jan. 31, at the Carman Tilelli Community Center. This free clinic is open to all cats and dogs over three months of age. Pet owners must show a current and valid pet license, or apply for their 2015 license prior to receiving the vaccine. New Jersey law requires that pets be licensed and inoculated against rabies. For 2015, license fees are $25.20 for non-neutered animals, and $22.20 for neutered animals. A $25 late fee will be assessed for dog licenses obtained after Jan. 31. Click here to download a pet license application. For more information, please call the Municipal Clerk’s Office at (856) 488-7892. 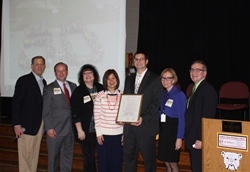 Township Proclamation recognizing the school's contributions to our community throughout the years. It was an especially wonderful afternoon for Council President Fleisher, a Sharp graduate himself. Congratulations to the entire Sharp Family on reaching this milestone, and thank you to the faculty, staff and administration for their continued work to educate Cherry Hill's children. Click here for video of the celebration. The continuous freezing/thawing cycle of winter can wreak havoc on road surfaces, and inevitably leads to a spike in potholes popping up across town. The Department of Public Works is responsible for the repair and maintenance of nearly 260 miles of municipal roads, and has dedicated crews assigned to the task of filling these potholes as quickly as possible. You can report an area of concern online by clicking here, or call Public Works directly, Monday through Friday, at (856) 424-4422. Please be sure to include as specific a location as possible, and if you are submitting online, feel free to include a photo. Remember that some roads in Cherry Hill are maintained by Camden County and the New Jersey Department of Transportation. Click here for a list of roads and contact information for other entities. Drive safely! Spreadsheet programs were developed to replace columnar pads. Learn why to use spreadsheet programs like Microsoft Excel, OpenOffice Calc and LibreOffice Calc, which are both free programs. In Part I of this four-part course, learn how to organize and store data, such as telephone numbers, addresses, and credit card information, how to use the built-in spreadsheet help information and how to use spreadsheets in the workplace. Prerequisites: Basic Mouse and Keyboard Skills, some PC experience, or equivalent experience. Click here to reserve a seat today! Join us for this four-week introduction to Spanish. We'll meet once a week to practice our new vocabulary with bilingual stories, songs and more! Click here to reserve a spot now. If you enjoy reading and sharing your thoughts with others, look no further than the Cherry Hill Library Book Club! Open to all members of the community. Join us for a discussion of "Destiny of the Republic," by Candice Millard. No registration required. Improve literacy skills and encourage school-readiness with this story time for children ages 3-6 feature stories, songs, finger plays and a craft. Seats are limited; click here to register. Come join us for a lecture and screening of the 1980 thriller/psychological horror film. Joseph Greenberg, independent filmmaker and professor of Film Scenario Writing and Advanced Film Production at Rowan University, will join us to talk about the Stanley Kubrick Film and Stephen King novel. Valentine, Shmalentine. Every February we celebrate what *really* matters: Your fandom! There will be music, food, a costume contest, and other activities to help you celebrate whatever you love, from Doctor Who to Frozen to Captain America. Click here to reserve a seat. 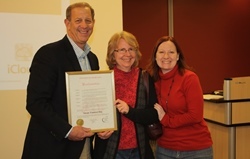 Last week, the Township paid tribute to a longtime employee of the Cherry Hill Public Library, Susan Tomkiel. Sue has served as a librarian in Cherry Hill for more than 40 years and is planning to retire later this year. Through the years, Susan has helped to enhance the lives of thousands of Cherry Hill men, women and children through literacy, and her work has helped the CHPL to grow into the true heart of our town. She is well-respected by her colleagues and all who have known her, and while she will be deeply missed by the CHPL family, we wish her all the best as she prepares to begin a new chapter in life. 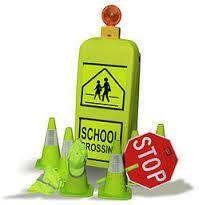 The Cherry Hill Police Department is looking to fill several part-time / substitute vacancies within its complement of crossing guards. Substitute guards are called in as needed to fill one-hour posts in the morning or afternoon school hours at any of over 40 locations throughout the Township. Please direct all inquiries to Sgt. Glenn Charney of the Cherry Hill Police Department Traffic Safety Unit at (856) 432-8857 or gcharney@cherryhillpolice.com, or mail to the Cherry Hill Police Dept., Attn: Traffic Safety/Crossing Guards, 820 Mercer Street, Cherry Hill, NJ 08002. The Cherry Hill Fire District 13 annual Fire Commissioner and Budget election will take place from 2 to 9 p.m. Saturday, Feb. 21. The Fire Commissioners continue to take pride, through sound fiscal policies, to remain committed to good stewardship of the Department's resources funded by Cherry Hill residents and businesses. The 2015 Operating Budget is the fourth consecutive year with no tax increase for Cherry Hill residents and businesses. Click here to review the annual budget newsletter, and for a list of polling locations. The Cherry Hill Fire Department EMS Training Division has several classes scheduled in the next several months. To learn more, or to register for a specific class, click here. The Cherry Hill African-American Civic Association and the African American Culture Clubs of Cherry Hill High Schools East and West will kick off Black History Month with their annual Black History Month show, "Legacy," at 7 p.m. Saturday, Jan. 31 at Cherry Hill East. Admission is $7 for adults, or $5 for students. For more information, click here, or contact Andrea Blount at (856) 203-0137 or arbrn582@aol.com. With more snow possible Sunday into Monday, the Township is closely monitoring the forecast and will be ready to respond as conditions require. One of the best ways to ensure you receive important information quickly is to sign up to receive CodeRED Emergency Alerts from the Township, Cherry Hill Police and Fire, and the Cherry Hill Office of Emergency Management. This new system allows us to quickly contact subscribers via phone call, text message and e-mail, when emergency situations arise. Visit www.CherryHill-NJ.com/CodeRed [http://www.cherryhill-nj.com/index.aspx?NID=899] for more information, or click here [https://public.coderedweb.com/CNE/BFE1EC4D6273] to go directly to our sign-up page. CodeRED is open to both residents and businesses. Code Red is the newest tool to keep you informed; remember, you can also find updated news and information at CherryHill-NJ.com, or by following us on Facebook and Twitter. Stay informed – and stay safe – this winter, and all year long! Last Friday night, I was proud to be on hand as several local residents were honored for their contributions to our community at the 2015 Camden County Freedom Medal ceremony. The awards recognize Camden County residents who embody the principles and ideals of Dr. Martin Luther King Jr. Four Cherry Hill residents were among the 15 honorees: Eleanor Stofman, president of the Cherry Hill Education Foundation; Dr. Wilhelmina D'Dumo; Sue Levy Polikoff; and Dr. Jamil Mohsin. Please join me in congratulating all of this year's award winners, and in thanking them for all they do to make Cherry Hill a better place to live. Click here [http://www.camdencounty.com/county-news/mlk-freedom-medal-awarded-15-residents] for a full list of honorees, and photos of the ceremony. Cherry Hill Township will host its annual rabies vaccine clinic from noon to 2 p.m. Saturday, Jan. 31, at the Carman Tilelli Community Center. This free clinic is open to all cats and dogs over three months of age. Pet owners must show a current and valid pet license, or apply for their 2015 license prior to receiving the vaccine. New Jersey law requires that pets be licensed and inoculated against rabies. For 2015, license fees are $25.20 for non-neutered animals, and $22.20 for neutered animals. A $25 late fee will be assessed for dog licenses obtained after Jan. 31. Click here to download a pet license application. [http://nj-cherryhill.civicplus.com/index.aspx?NID=373] For more information, please call the Municipal Clerk’s Office at (856) 488-7892. 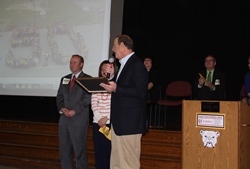 Township Proclamation recognizing the school's contributions to our community throughout the years. It was an especially wonderful afternoon for Council President Fleisher, a Sharp graduate himself. Congratulations to the entire Sharp Family on reaching this milestone, and thank you to the faculty, staff and administration for their continued work to educate Cherry Hill's children. Click here [https://www.youtube.com/watch?v=Vs9dNSU2KSE] for video of the celebration. The continuous freezing/thawing cycle of winter can wreak havoc on road surfaces, and inevitably leads to a spike in potholes popping up across town. The Department of Public Works is responsible for the repair and maintenance of nearly 260 miles of municipal roads, and has dedicated crews assigned to the task of filling these potholes as quickly as possible. You can report an area of concern online by clicking here [http://www.cherryhill-nj.com/forms.aspx?FID=86] , or call Public Works directly, Monday through Friday, at (856) 424-4422. Please be sure to include as specific a location as possible, and if you are submitting online, feel free to include a photo. Remember that some roads in Cherry Hill are maintained by Camden County and the New Jersey Department of Transportation. Click here [http://www.cherryhill-nj.com/index.aspx?nid=219] for a list of roads and contact information for other entities. Drive safely! Spreadsheet programs were developed to replace columnar pads. Learn why to use spreadsheet programs like Microsoft Excel, OpenOffice Calc and LibreOffice Calc, which are both free programs. In Part I of this four-part course, learn how to organize and store data, such as telephone numbers, addresses, and credit card information, how to use the built-in spreadsheet help information and how to use spreadsheets in the workplace. Prerequisites: Basic Mouse and Keyboard Skills, some PC experience, or equivalent experience. Click here [http://host6.evanced.info/cherryhill/evanced/eventsignup.asp?ID=6272&rts=&disptype=&ret=eventcalendar.asp&pointer=&returnToSearch=νm=0&ad=&dt=mo&mo=2/1/2015&df=calendar&EventType=ALL&Lib=&AgeGroup=ALL&LangType=0&WindowMode=&noheader=&lad=&pub=1&nopub=&pa] to reserve a seat today! Join us for this four-week introduction to Spanish. We'll meet once a week to practice our new vocabulary with bilingual stories, songs and more! Click here [http://host6.evanced.info/cherryhill/evanced/eventsignup.asp?ID=6259&rts=&disptype=&ret=eventcalendar.asp&pointer=&returnToSearch=νm=0&ad=&dt=mo&mo=2/1/2015&df=calendar&EventType=ALL&Lib=&AgeGroup=ALL&LangType=0&WindowMode=&noheader=&lad=&pub=1&nopub=&pa] to reserve a spot now. Improve literacy skills and encourage school-readiness with this story time for children ages 3-6 feature stories, songs, finger plays and a craft. Seats are limited; click here [http://host6.evanced.info/cherryhill/evanced/eventsignup.asp?ID=6253&rts=&disptype=&ret=eventcalendar.asp&pointer=&returnToSearch=νm=0&ad=&dt=mo&mo=2/1/2015&df=calendar&EventType=ALL&Lib=&AgeGroup=ALL&LangType=0&WindowMode=&noheader=&lad=&pub=1&nopub=&pa] to register. Valentine, Shmalentine. Every February we celebrate what *really* matters: Your fandom! There will be music, food, a costume contest, and other activities to help you celebrate whatever you love, from Doctor Who to Frozen to Captain America. Click here [http://host6.evanced.info/cherryhill/evanced/eventsignup.asp?ID=6269&rts=&disptype=&ret=eventcalendar.asp&pointer=&returnToSearch=νm=0&ad=&dt=mo&mo=2/1/2015&df=calendar&EventType=ALL&Lib=&AgeGroup=ALL&LangType=0&WindowMode=&noheader=&lad=&pub=1&nopub=&pa] to reserve a seat. This is just a snapshot of the hundreds of events, activities and cultural programs held at the Library throughout the year. 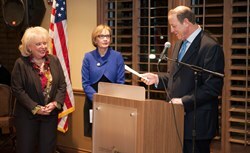 Click here for a full events calendar, and visit www.chplnj.org [http://www.cherryhill-nj.com/admin/www.chplnj.org] to sign up for the library's e-newsletter, renew books, place holds, pay fines and much more. Stay connected by following the Library on Facebook, Twitter and Pinterest. For more information, call (856) 667-0300, or e-mail info@chplnj.org. The Cherry Hill Fire District 13 annual Fire Commissioner and Budget election will take place from 2 to 9 p.m. Saturday, Feb. 21. The Fire Commissioners continue to take pride, through sound fiscal policies, to remain committed to good stewardship of the Department's resources funded by Cherry Hill residents and businesses. The 2015 Operating Budget is the fourth consecutive year with no tax increase for Cherry Hill residents and businesses. Click here [http://www.cherryhill-nj.com/DocumentCenter/View/2596] to review the annual budget newsletter, and for a list of polling locations. The Cherry Hill Fire Department EMS Training Division has several classes scheduled in the next several months. To learn more, or to register for a specific class, click here [http://www.cherryhill-nj.com/index.aspx?NID=884] . The Cherry Hill African-American Civic Association and the African American Culture Clubs of Cherry Hill High Schools East and West will kick off Black History Month with their annual Black History Month show, "Legacy," at 7 p.m. Saturday, Jan. 31 at Cherry Hill East. Admission is $7 for adults, or $5 for students. For more information, click here [http://www.cherryhill-nj.com/Calendar.aspx?EID=1643] , or contact Andrea Blount at (856) 203-0137 or arbrn582@aol.com.